Link to article: Honderden euro’s besparen op vliegtickets? 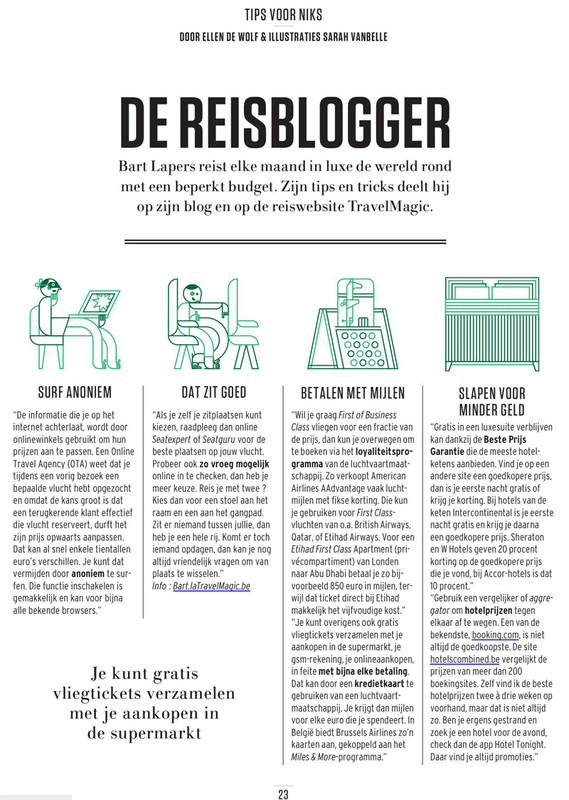 Link: Luxueus op reis met weinig budget? 3 tips! Note: Short version of this article was also published in ‘De Morgen’ newspaper. What: Interview with Tania Prinsier about Luxury Travel on a Budget. Media: Eén (Belgian TV) Date: Apr 3, 2013 What: Interview with Thomas Vanderveken on how to book cheaper flights.